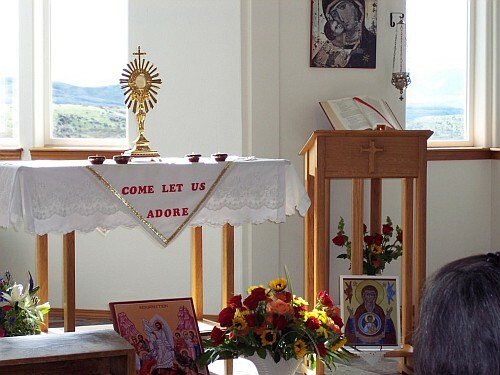 Visitors, day pilgrims and retreatants who want to share temporarily in the life of prayer, solitude and silence of Marymount Hermitage are warmly welcomed. For those desiring to withdraw from the world, to seek the Father, to hear the Word, and to be taught by the Spirit, Marymount offers five hermitages and the support of communal prayer at daily Lauds and Vespers. Without a chaplain, daily Mass is not possible at Marymount, but there are several opportunities for weekly and Sunday Masses offered in the local area churches for those Catholics who wish to attend. Informal spiritual sharing with Sister M. Beverly, HSM may be requested and arranged during your time at Marymount Hermitage. Retreats are intended to be essentially solitary and silent, and no retreat conferences are offered. Retreatants are free however to attend any planned event at Mercy House. See Calendar of Events for listing of current offerings at Mercy House. Reservations in writing are necessary to use a hermitage for retreat at Marymount Hermitage. Please allow 2-4 weeks at least to complete an application and obtain a firm reservation. First, email Sister M. Beverly, introduce yourself, and ask if the dates you are requesting are available: marymount@ctcweb.net Once the dates are agreed upon, print the retreat application form from this section of the website, complete it and send it in the US mail with a $60 deposit. If your application is accepted, Sister M. Beverly will email you to confirm your reservation. At that point, your deposit becomes non-refundable in the event that you cancel or change the dates of your retreat reservation. If your application is not accepted, your deposit check will be returned to you. The cost of a retreat is $60 per night for an individual and $90 for a married couple. (This is an increase which will become effective January 1, 2019.) Please email or call Sister M. Beverly, if you have any questions about details or concerns about a hermitage retreat. Call 208.256.4354. Retreat Hermitage: Each hermitage is a self-contained cabin, newly renovated, fully furnished and secluded. You will be expected to cook your own meals in your hermitage with the groceries you have brought for yourself. Please plan to take excess food supplies home with you, as well as your recycling items, if you have arrived by car. The water at Marymount Hermitage in Mesa, Idaho is clean, fresh, good tasting, cool, and abundant, as you would expect in a mountain location. Please do not bring bottled drinking water for your use. Solitary manual work is available upon request and is recommended for retreats longer than a week. This work is primarily for the benefit of the retreatant for a healthy balance of prayer and work. 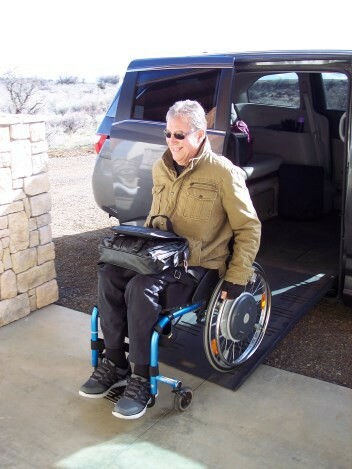 There are hiking opportunities and just walking between buildings will provide exercise. 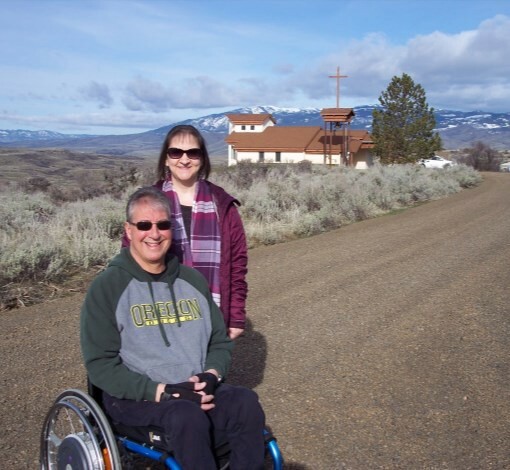 The remote, rural location of Marymount Hermitage and lack of handicap accessibility to the chapel and five hermitages means that retreatants should be in good health and have the ability to walk easily. Retreatants must be 21 years or older. 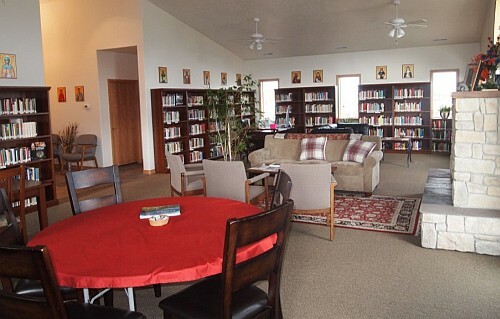 We do not have overnight facilities to accommodate children or large groups of retreatants. No smoking in the hermitages or any building at Marymount Hermitage. A penalty of $300 will be charged as a cleaning fee, if your hermitage sustains smoke damage. Personal laundry can be done in the kitchen/utility room of Mercy House. Chapel: Our Father’s House is always open for Eucharistic adoration and private prayer. Besides daily Lauds and Vespers, there are communal holy hours of adoration offered weekly for neighbors and retreatants on Tuesday and Thursday afternoons at 3 PM, and on First Fridays also. Visitors and retreatants can leave prayer intentions on the cards under the altar in chapel. We will remember your intentions in our daily prayers. Be advised that your hermitage and the chapel are not air-conditioned. 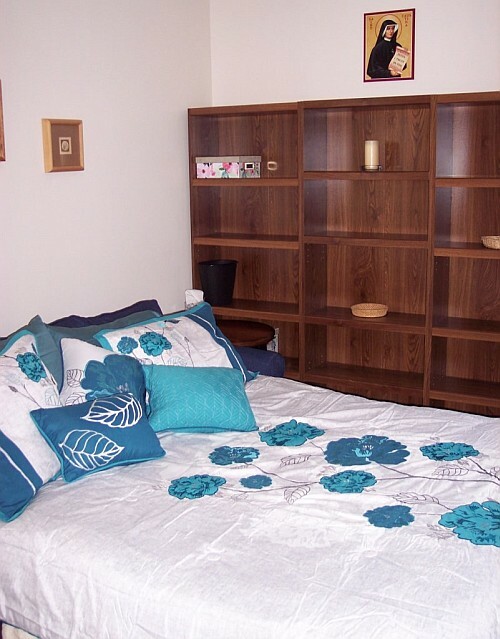 Mercy House: Retreatants may use the new house of hospitality and library for study, research, reading and prayer. The library is a room for sacred silence, so please be considerate of the privacy and solitude of other guests or retreatants, if they are in the room when you are. You may check out books from the library and can even take them home with you, provided you agree to return the books. The time limit for borrowing books is up to a year. 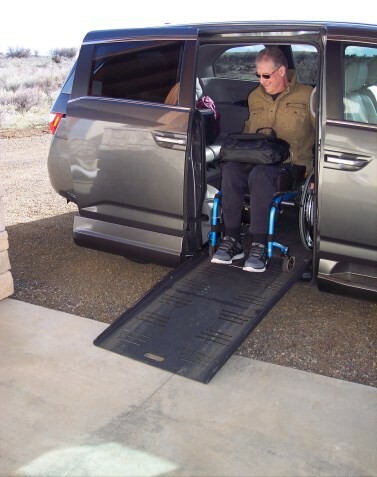 Mercy House is fully handicap accessible, even for someone permanently confined to a wheel chair. The building can be used conveniently by handicapped day guests when classes or Days of Pilgrimage are planned and offered to the public. If you would like to use Mercy House for a private day of pilgrimage for prayer and reading, please contact Sister M. Beverly about the date you are requesting. There is no set fee for day use of the library, but free will donations are appreciated. There is a donation basket by the front door of Mercy House. 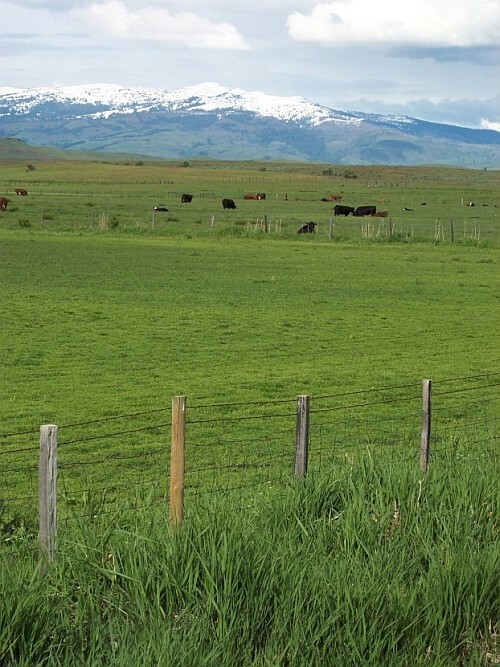 Idaho has a dry, northern, temperate climate. Suitable clothing will make your stay at Marymount Hermitage more comfortable. Casual, modest clothing is recommended for all seasons: slacks or jeans, warm sweater or jacket, scarf or headcovering for high winds, and sturdy, comfortable walking shoes. March-May: temperatures are cool to warm; plan for occasional wind and rain storms. Bring rain gear and mud boots or old shoes. This is the time to hear the song birds and to see the abundant wildflowers. June-August: warm to hot; plan for occasional cool days or nights. Bring cotton or lightweight clothing, wide-brimmed hat and sunglasses. Shorts are not recommended for your own protection. Ticks are active from spring through summer months and can carry lyme disease. Be aware of extreme fire danger during the dry, hot, summer months. Do not park your car in tall grass and do not throw cigarette butts anywhere! This is the time to see the resident herd of mule deer and the newborn fawns. September-October: warm to chilly. Plan for temperature extremes. This is the time to enjoy the beauty of the fall colors. November-February: cold, though rarely below zero degrees F. Warm, high, snow boots a necessity. Woolens and a heavy coat with a hood are recommended. Plan for mud in November. Depending on the amount of snow and current condition of Hermitage Lane, 4WD, high clearance vehicles may be the only ones able to negotiate the road and allowed to enter. If you love snow and cold, this is your season! 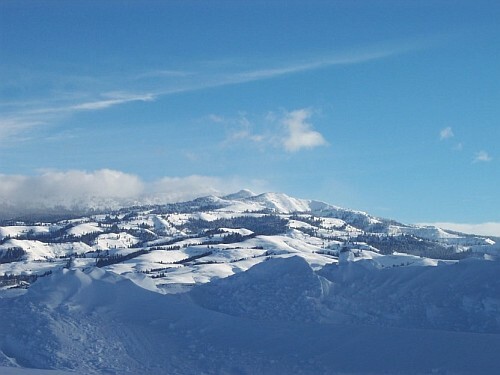 Snow-shoeing and cross-country skiing are options. Other items to bring: Bible, Office book, rosary, journal, usual medical supplies, insect repellent, lotion. Optional items: binoculars, camera, work gloves, crafts or hand work. Please do not bring a radio, musical instrument or pet. Prayerfully plan to give yourself generously to the Lord in true interior and exterior silence, enjoying the Word and the sounds of nature suffused with His Presence. For this reason, the use of digital devices, lap top computers or cell phones are discouraged. For legitimate exceptions to these recommendations, you may discuss your personal retreat plans or needs with Sister M. Beverly before making your retreat reservation. Don’t be afraid to be alone with the Alone! 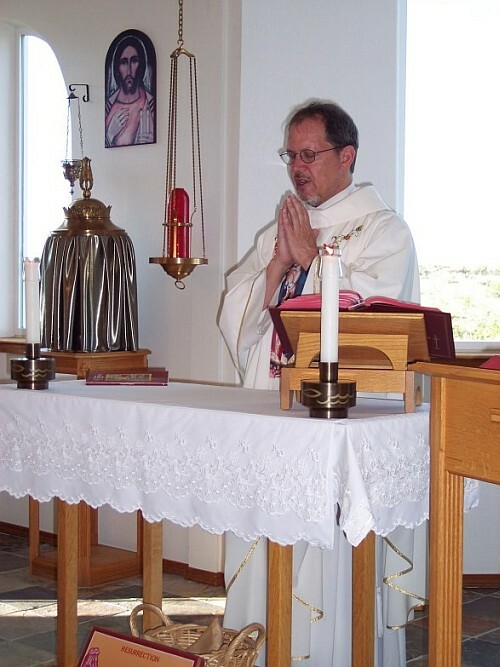 Priests are warmly welcome to visit and to offer Mass at Marymount Hermitage. Reservations for a private retreat can be made according to the directions above. Please use the application form for priests in this section of the website. 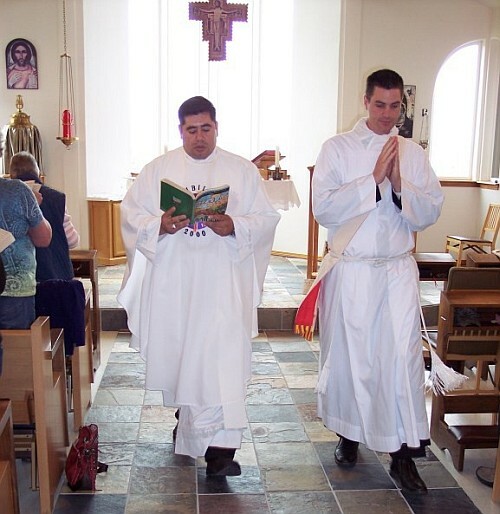 While there is no resident chaplain, Catholic priests are able to apply for a free retreat. If you are the only priest at Marymount Hermitage and you qualify for a free retreat, the deposit of $60 will be returned to you when you arrive. If you cancel or change the dates of your retreat, the deposit is non-refundable. 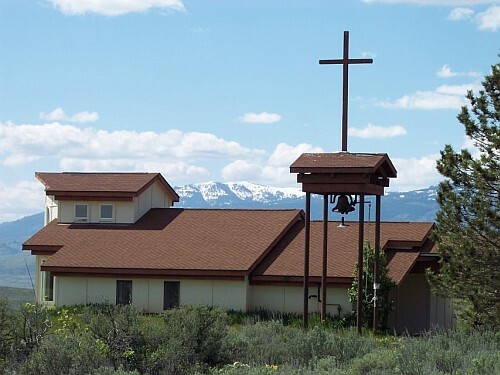 The canonical protocol for the Diocese of Boise is to be followed with regard to obtaining faculties for sacramental ministry while you are on retreat at Marymount Hermitage. In exchange for a free retreat, daily Mass would be a joy and a deeply appreciated grace. Daily Mass is usually after Lauds which begins at 8 AM, but the time is negotiable, for your convenience. 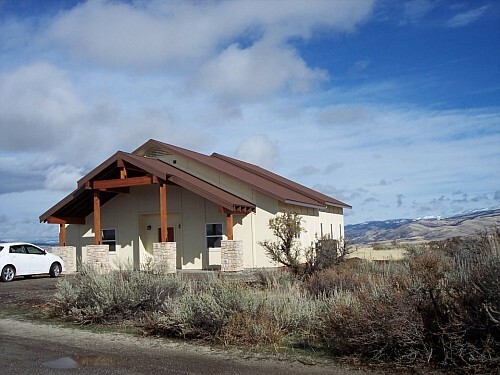 Marymount Hermitage is located west of Highway 95 between Council and Cambridge, midway between mile posts #128 and #129, north of the old Mesa town site. Car: Please plan to arrive before sunset because there are no street lights in our area and you will have difficulty finding Hermitage Lane in the dark. There is no sign at the highway to indicate Hermitage Ln. Beware that the use of a GPS in our area is subject to serious errors. Ask Sister M. Beverly for driving directions, if you have never been here before and especially if you are traveling from out-of-state. This section of Idaho is in the mountain time zone. Plane: Boise, Idaho is the location of the nearest airport, 125 miles away. 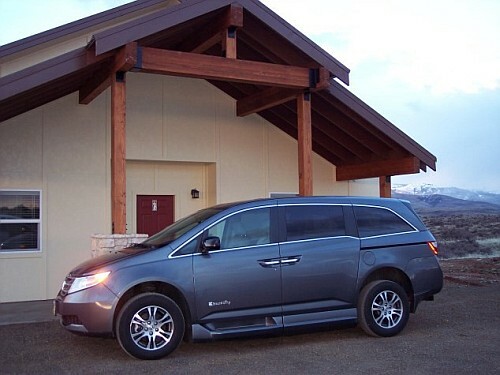 You may rent a car at the airport or, for $300, a neighbor will be hired to provide you with round-trip service from the Boise terminal to Mesa. Please have cash or a traveler’s check available to pay the neighbor upon your arrival at Marymount Hermitage, if you have requested this service. A monthly newsletter is posted on the website by the 15th of each month. Click on NEWS! and then open the monthly folder. This publication explains the spirituality, news, and material progress of Marymount Hermitage. The website is extensive and you can go on a virtual tour or find hand-made items to purchase from the Gift Shop. 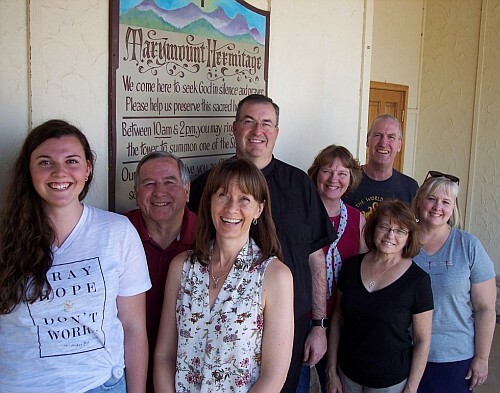 Marymount Hermitage is self-sustaining through daily hard work, retreatants’ fees, teaching and retreat stipends given to Sister Mary Beverly, and free-will donations. Your spiritual and material support are greatly appreciated. God bless you! When I close my eyes and open my heart, I am once again back at the Hermitage. I am renewed with the flooding of grace received during my Holy Week in solitude. You and I spoke very little, yet you were like friendly angels of light in the desert. Your gifts of prayer, discreet hospitality, song, and privacy washed love and peace upon the dry bones of my soul. I came expecting nothing and was filled to overflowing. My beloved Lord made himself known in ways beyond my imagining. Incredible symbols of Life unfolding daily, blending me with Creation. Scripture burned like fire within. Deep quiet taught me to hear God's voice and sacred Language. All brought me to new life. I now feel grounded, steady and at peace. I continue to receive reassurance and confirmation that the abundant spiritual gifts from Marymount are mine for the keeping. I am so deeply grateful. I want to come again some day. I will await my Lord's invitation!